The briefs were filed in two lawsuits over President Trump’s attempt to eliminate 85 percent of the land in Bears Ears and approximately half in Grand Staircase-Escalante from the monuments. The President’s action, which Ferguson argues is illegal, would effectively rescind a national monument for the first time in U.S. history. In Ferguson’s amicus briefs to the U.S. District Court for the District of Columbia, Washington and 10 other states assert that the monument reductions overstep presidential authority and upend the purpose of the Antiquities Act of 1906, which delegated authority to the President to preserve the nation’s archeological, historic and scientific resources as national monuments. They also argue President Trump’s rescissions upset the relationship between the states and the federal government regarding managing federal lands within states’ borders. In May 2017, Ferguson sent a letter to Secretary of the Interior Ryan Zinke, opposing the rollback of national monument protections and declaring his intent to file a lawsuit if President Trump targeted monuments in Washington, such as Hanford Reach National Monument. 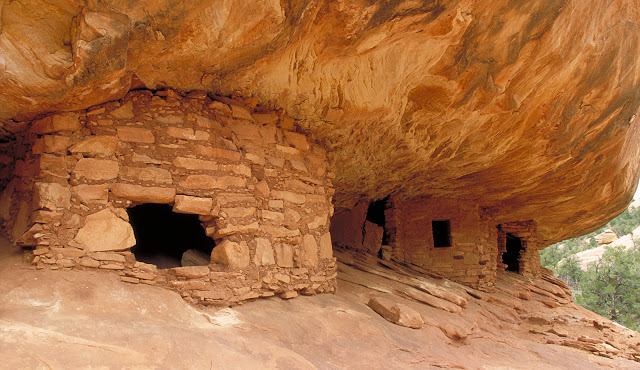 Although the Trump Administration did not take action against Washington’s monuments, in December 2017, President Trump proclaimed he would reduce the size of both Grand Staircase-Escalante and Bears Ears National Monuments. This prompted five lawsuits that were subsequently consolidated into two, one addressing each national monument. President Trump responded by filing a motion to dismiss the cases. The U.S. District Court has not yet set a date for oral argument. The State of Washington is home to two presidentially created monuments, Hanford Reach and San Juan Islands, and one congressionally created monument, Mt. St. Helens National Volcanic Monument. Ferguson’s briefs were joined by California, Hawaii, Maine, Maryland, Massachusetts, New Mexico, New York, Oregon, Rhode Island and Vermont. Assistant Attorneys General Bill Sherman and Kelly Wood and Special Assistant Attorney General Aurora Janke with the Counsel for Environmental Protection are handling this case on behalf of the Attorney General’s Office. Washington has yet to receive an adverse ruling in cases where the Attorney General has led an amicus brief. Washington has led amicus briefs in support of 11 cases against the Trump Administration, and has been on the side of the prevailing party five times. In six cases, a decision has not been issued.